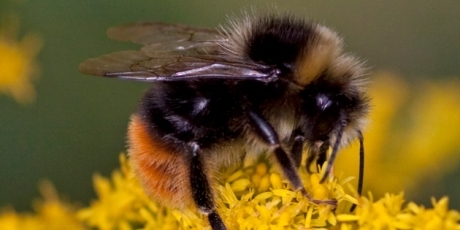 There was great news today when the government launched an “urgent” review of the crisis facing bees and other pollinators in the UK and introduced a national pollinator strategy. Bees and other pollinators fertilise three-quarters of global food crops and have seen severe declines in recent decades, due to loss of habitat, disease and harmful pesticides. In the UK, wild honey bees are nearly extinct, solitary bees are declining in more than half the areas studied and some species of bumblebee have been lost altogether. In April, the European Union suspended the use of three neonicotinoid pesticides linked to serious hard in bees, despite the opposition of UK ministers. De Mauley said: “We know there are gaps in the evidence. That is why I am launching an urgent and comprehensive review of current policy, evidence and civil society action on pollinators to identify what needs to be done to integrate and step up our approach. This urgent review will form the basis of a national pollinator strategy, which will bring together all the pollinator-friendly initiatives already underway and provide an umbrella for new action. This entry was posted in Bees, Nature, Wildlife and tagged Defra, Friends of the Earth, pollinators. Bookmark the permalink. This review and the Coronation meadow campaign are good news for insects. I hope the review leads to real reforms in policy and procedure to secure the flowers and the bees.